If you’re always on the hunt for new ideas to implement in the classroom or want to keep up with the latest news in education, then turn to Twitter. 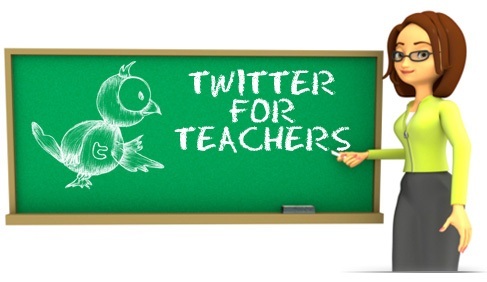 With teachers tweeting in droves, if determining whom to follow first is overwhelming, start by checking out these top 25 teachers, educators and experts on Twitter. By following their tweets, you will gain access to education news as it happens and numerous tips, activities and resources to use in your classroom or with your children. 2. Eric Sheninger (@NMHS_Principal) is a principal who has won multiple awards for bringing technology into his school. His tweets focus on helping others do the same. When we spoke with Eric he said, “Twitter is one of the most valuable tools available to educators. It allows you to connect with and engage with like-minded people passionate about improving education and making a difference.” We couldn’t say it any better! 4. 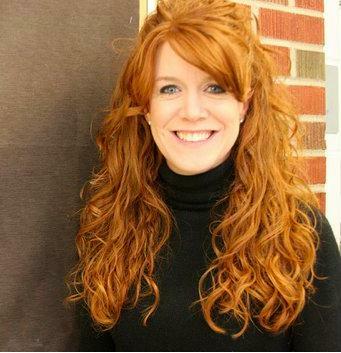 Shannon Miller (@shannonmmiller) is a teacher librarian who tweets about resources for teachers and librarians and ways to integrate technology. 5. Kelly Hines (@kellyhines) is a mom and a National Board Certified teacher who provides teachers and parents with multiple resources. 7. Randi Weingarten (@rweingarten), President of the American Federation of Teachers, tweets about his work as part of the AFT and advocates for teachers everywhere. 8. Ben Bache (@TeacherToolbox), managing editor for Teacher Toolbox, regularly tweets deals for teachers, insights on education and unique apps and other resources to use in your classroom. 9. Stephen Sawchuck (@TeacherBeat), a writer for Education Week, tweets about educational policy and opportunities for teachers. 10. Teacher Sabrina (@realsabijoy) regularly tweets about education reform and her finds as she advocates for teachers and students. 11. Mr. Teacher (@mrteacher) does not offer much in the way of resources, but he does provide bits of insight for teachers and parents and clues the rest of the world into what most teachers are thinking. 12. Josh Allen (@j_allen) tweets to help teachers effectively implement technology in their classrooms. He also offers a lot of technology-based resources to use with students. 13. Martin Burrett (@ICTMagic) is a teacher who seeks to provide other teachers with resources related to information, communications technology (ICT) and education. 14. Feed the Teacher (@feedtheteacher), an EFL teacher and e-tutor, regularly tweets about social media, resources and word games for the classroom. 15. Web English Teacher (@webenglishteacher) introduces you to word games for kids, lesson plans and other resources for English teachers. 16. Scholastic Teachers (@ScholasticTeach) is run by teachers who work with Scholastic. Follow them to keep up with all of Scholastic’s resources and upcoming events for teachers. 17. Kelly Tenkely (@ktenkely) is a former teacher and the founder of Anastasis Academy and an educational consultant at iLearn Technology. She tweets resources for your classroom and examples of student work. 18. Lee Kolbert (@TeachaKidd) offers tweets related to edtech, teaching everyone to implement technology effectively. 19. Angela Maiers (@AngelaMaiers) is an educator, author and speaker at such events as TEDx Des Moines. 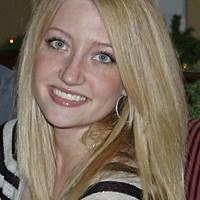 She offers inspiration, tips and resources on a regular basis. 20. Jerry Blumengarten (@cybraryman1) focuses on brining the Internet to teachers by blogging about web 2.0 resources and other digital technologies. 21. Carol Tonhauser (@cmt1), EdTech Facilitator at University of Alberta, gives you practical ways to bring technology into your classroom. 22. Dr Math E Matics (@MathIsMyLife) tweets ways to teach kids math, including math games and unique classroom activities. 24. Joan Young (@flourishingkids) is an elementary school teacher who focuses on finding ways for all kids to learn. 25. Danny Kinzer (@MrKTweets) is an educator and avid explorer. He has traveled extensively and offers fresh perspectives on K12 education around the world. He is currently teaching in Taiwan and consistently delivers meaningful insights into the future of education and technology.